(UM Legislative News Service) Debates are intensifying at the Montana Legislature over the state’s management of North America’s largest land mammal: the American bison. Some argue bison are a critical cultural, spiritual and historical resource. Others say bison pose a threat to the health and well-being of cattle. Now legislators are considering a number of bills that will decide where bison are allowed to graze, and which government entity gets to make that decision. Rep. Tyson Runningwolf, D-Browning, is carrying one of those bills. It would allow bison to be transferred from Yellowstone to the Fort Peck Indian Reservation. Bison populations were decimated in the early 1800s as Europeans moved west, according to the U.S. Fish and Wildlife Service. Native Americans had hunted bison for centuries. The hides and meat were staples for tribes. But white settlement and government attempts to eliminate Natives from their traditional lands quickly caused bison numbers to plummet. Bison were nearly extinct when a small herd was moved to Yellowstone National Park. There, the population revived. 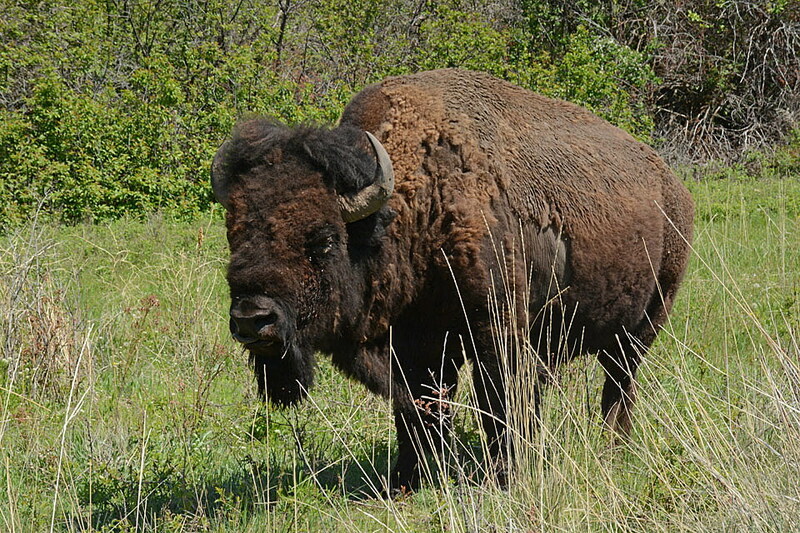 In 2019, bison are confined to certain areas in the state. Some ranchers feel strongly about keeping bison in those areas because they’re carriers of brucellosis, a disease the affects bison, cattle, elk and humans. It can lead to high rates of abortion in cattle, bison and elk. Nationwide, brucellosis cost cattle ranchers billions of dollars in the last century, according to the U.S. Department of Agriculture. Montana achieved brucellosis-free status in 2002. The Bozeman-based conservation organization owns the land, and argues HJ 28 is an attack on private property rights. However, the lawmaker sponsoring the bill says he believes bison grazing will affect the private property of ranches in the area. Geddes argues the resolution itself oversteps government authority, and said as much in the bill’s hearing. The bill would require the local board of county commissioners to first authorize any request from the Department of Livestock or the Department of Fish, Wildlife and Parks before wild bison are released into any county. The bill passed out of the House on a tight vote, 56-41, in late February. It will move to the Senate Agriculture, Livestock and Irrigation next. The Fort Peck Indian Reservation’s quarantine facility received five new bison bulls from Yellowstone in February.